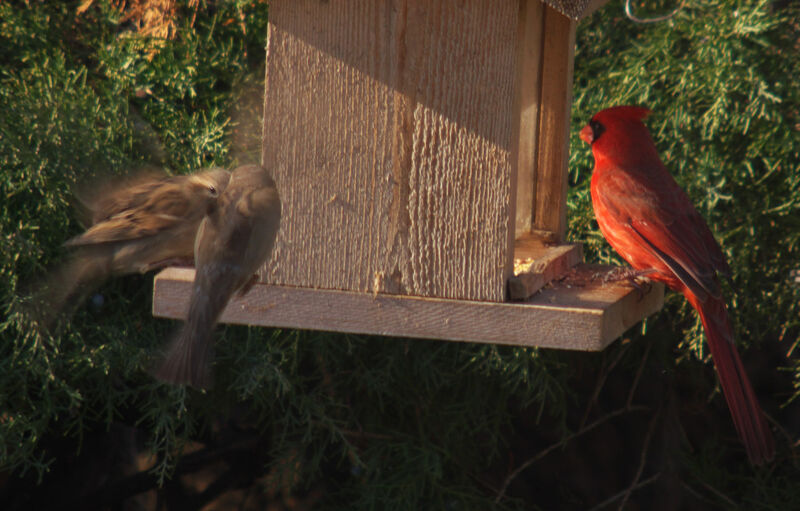 Back to the bird feeder this week for the motion challenge, but no more squirrely photos. This entry was posted on 04/25/2015 at 06:38 and is filed under Photos. You can follow any responses to this entry through the RSS 2.0 feed. You can leave a response, or trackback from your own site. It’s stunning, I am not good at photo taking, but this is amazing to get the bird in flight like you did. WOW! Thanks. Set your camera on something stable, focus on where the birds will be (going after the food), when they show up snap some pictures (usually a lot – the law of averages), voila. This reminds me of Robin Hood or something.